With the Q1 release of Telerik OpenAccess ORM, Telerik released a brand new LINQ Implementation and supporting Visual Entity Designer. 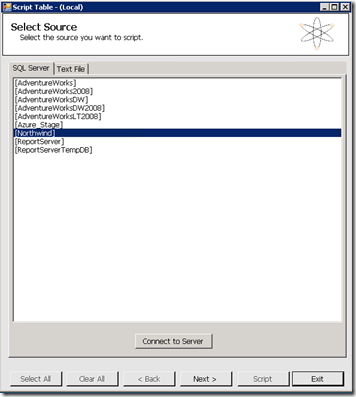 I have shown in this blog how to connect to SQL Server, MySQL, and how to use the new LINQ with RIA Services. 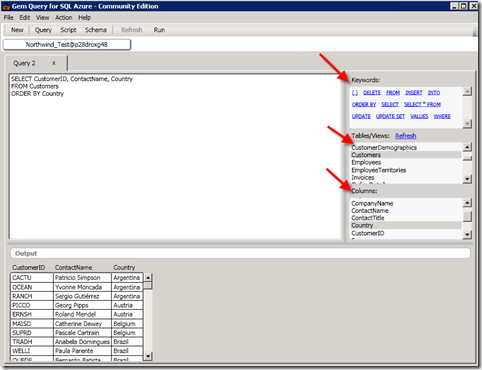 Today I will show you how to connect to SQL Azrue. 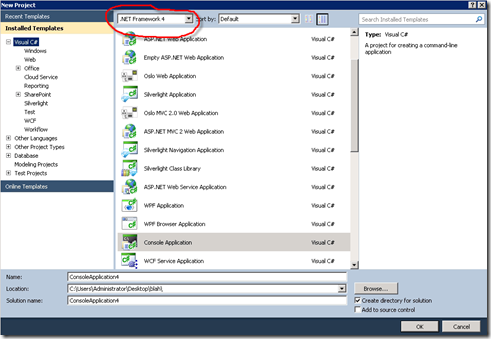 To get started, we have to create a new Telerik Domain Model in the server (ASP.NET) project. We’ll create a new Domain Model by right clicking on the server project and selecting “Add” and choosing the Telerik Domain Model from the menu. 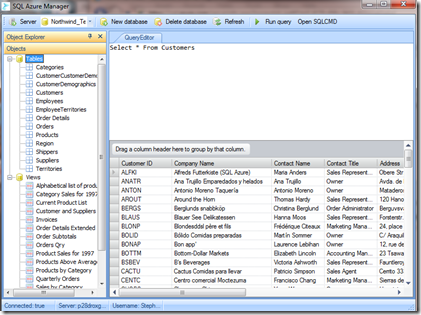 Next you have to map your tables to entities. 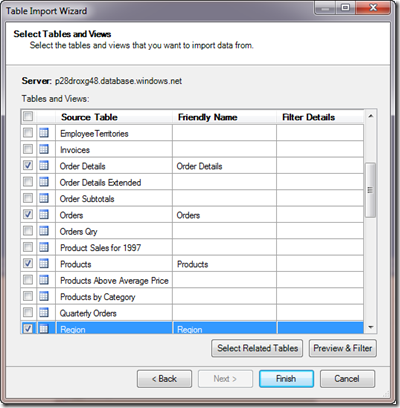 The easiest thing to do is just map all of your tables by selecting the checkbox next to “Tables” in the Choose Database Items dialog and pressing the Finish button. 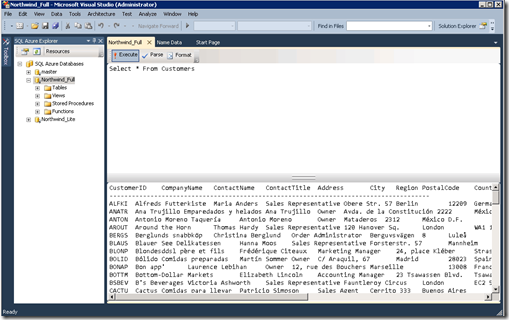 Visual Studio adds a new Telerik Domain Model to your project. 9:                           where c.Country == "Germany"
The results are show here. Have a startup? 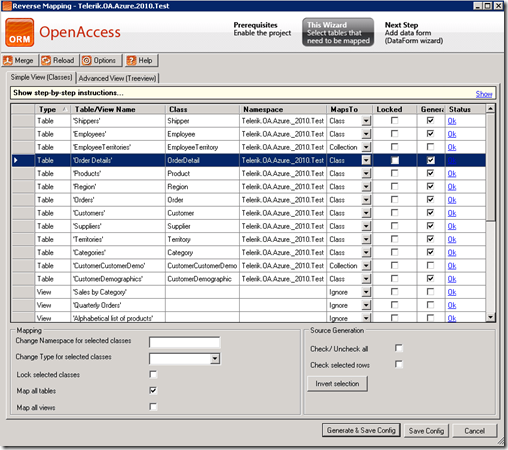 Want free software? The Microsoft BizSpark Camp is for you. You have to sign up by Monday. See below for more details. With several successful Microsoft BizSpark Incubation Weeks (Azure Atlanta, Win7 Boston, Win7 Reston, CRM Reston, CRM Boston, Win 7 Irvine, Mobility Mountain View,), we are pleased to announce Microsoft BizSpark Camp for Windows Azure in New York, NY during 28–29 January 2010. Based upon your feedback we have made several changes including offering cash prize, compressed time commitment, and much more. We hope you're tapping into the growing BizSpark community. The current economic downturn is putting many entrepreneurs under increasing pressure, making it critical to find new resources and ways to reduce costs and inefficiencies. Microsoft BizSparkCamp for Windows Azure is designed to offer following assistance to entrepreneurs. The Microsoft BizSparkCamp for Windows Azure will be held at Microsoft Technology Center, New York, NY from Thu 1/28/2010 to Fri 1/29/2010. This event consists of ½ day of training, 1 day of active prototype/development time, and ½ day for packaging/finishing and reporting out to a panel of judges for various prizes. This event is a no-fee event (plan your own travel expenses) and each team can bring 3 participants (1 business and 1 – 2 developer). It is required to have at least 1 developer as part of your team. To participate in the BizSpark camp, you must submit your team for nomination to Sanjay or your BizSpark Sponsor. Visit Sanjay’s blog for details on how to submit your nomination by Monday, January 18th, 2010. Nominations will be judged according to the strength of the founding team, originality and creativity of the idea, and ability to leverage Windows Azure Scenarios. You may want to enroll into Microsoft BizSpark, an exciting new offering that enables software startups to leverage Microsoft development and platform technologies to deliver next generation web and Software + Services applications. For details see here. 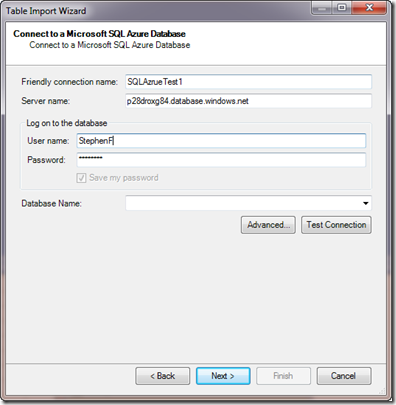 As you may know Telerik has built into most of its products support for Windows and SQL Azure. While at the PDC last November, Ben Riga interviewed me on what it was like to build a commercial product on top of Azure. 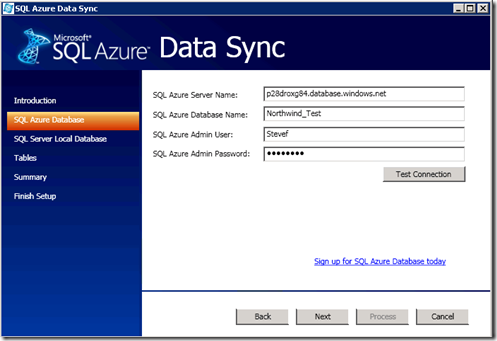 I give a sneak peak at how we developed the software and how we leveraged SQL Azure. I talk about some of our pain points as well as where it was easy. The video is here, complete with my cell phone’s battery dying in the middle of our interview! You must register at https://www.clicktoattend.com/invitation.aspx?code=143228 in order to be admitted to the building and attend. At PDC 09 Microsoft did announce commercial availability of the Windows Azure Platform. This presentation will cover the key features of the Windows Azure distributed fabric based operating system that make it possible to build applications leveraging distributed computation and storage capabilities in the cloud. 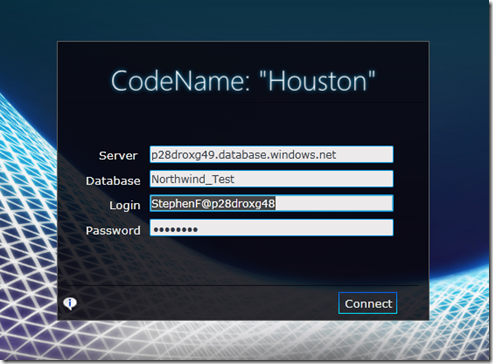 It will also cover higher-layer .NET Services such as SQL Azure, Microsoft’s distributed SQL Server database in the cloud and the .NET Services that provide extended connectivity and security across cloud and on-premise applications. The focus will be on developing applications using the various platform APIs for development, deployment and management of Windows Azure Platform services. Bill Zack is an Architect Evangelist with Microsoft. He comes to this role after serving as a Solutions Architect in the Financial Services Group of Microsoft Consulting Services. His experience includes developing, supporting and evangelizing .NET/SOA based frameworks used to jump-start development projects for financial services companies. Prior to joining Microsoft he acted as a Consultant, Architect, Administrator, Developer, and System Integrator. He has also authored several computer books and white papers. He is the Founder and President of the New York chapter of the International Association of Software Architects (IASA) and a member of the IASA Board of Directors He is also Co-Moderator of the New York City .NET Developers Group, founder and past president of the New York Enterprise Windows User Group, and the founder and past president of several other computer user groups. 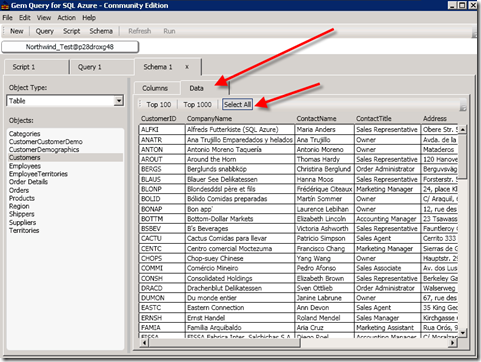 Yesterday I showed how to use Telerik OpenAccess, Telerik Reporting, and SQL Azure to create reports and view them in ASP.NET. 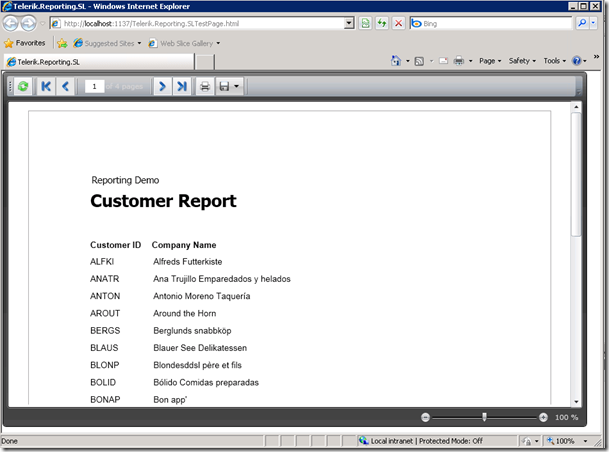 Today i will show how to view that same report in Silverlight using the industry’s first native Silverlight report viewer. 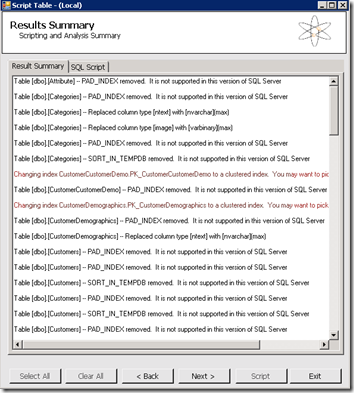 All of this is in the Telerik documentation, however, since we have our cool SQL Azure demo already up and running from yesterday, I figured it would be fun to show how to reuse the same report and view it in Silverlight. 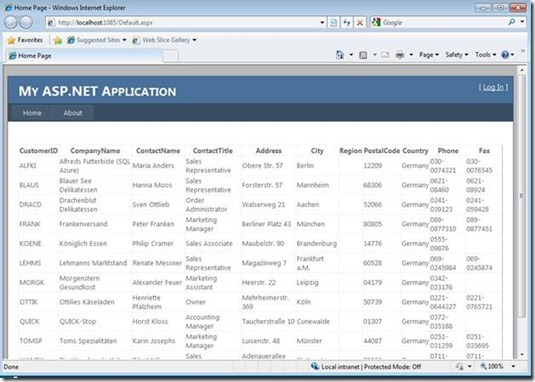 Now we will add a Silverlight project named Telerik.Reporting.SL that will use the Telerik.Reporting.Web application as its ASP.NET host. Since all data access in Silverlight has to be an asynchronous service, we have to send our report down to our Silverlight application as a WCF service. 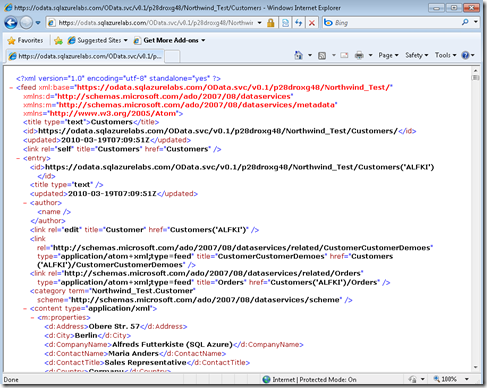 At the end of the day a Telerik Report is just a plain old .NET class, so we can easily send it down via WCF. The good news is that a lot of the WCF plumbing has been taken care of for you by the Telerik Reporting service. Let’s get started. 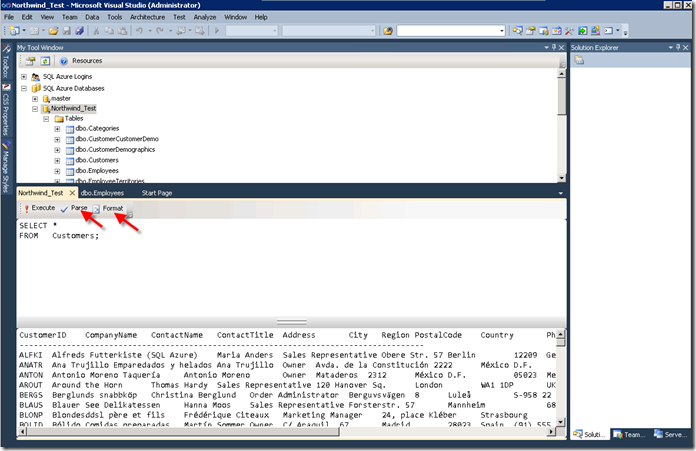 First we have to set a reference in our ASP.NET host application (Telerik.Reporting.Web) to Telerik.Reporting.Service. 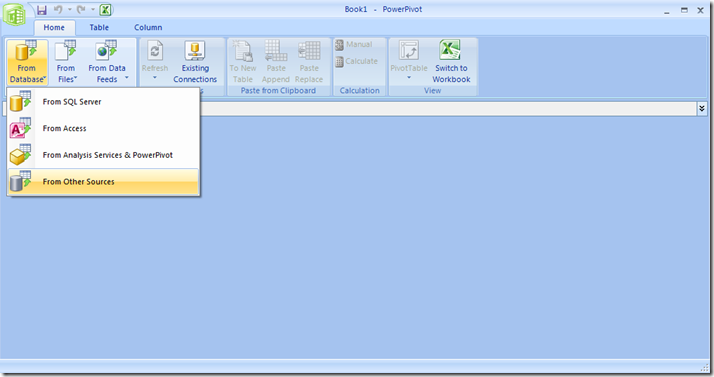 Next add a WCF service to your project, named ReportService.svc. 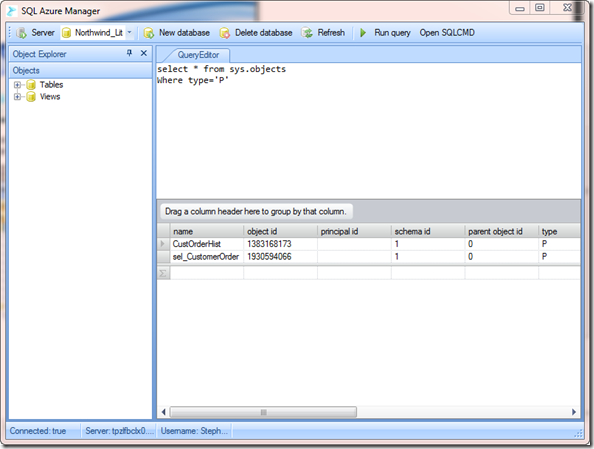 This will also automatically add a reference to System.ServiceModel for you. Note: you have to make sure that the version number you are using is the same as mine. You can get your version number by clicking on the Telerik.Reporting.Service reference in the solution explorer and looking at the version property. That is it for the Telerik WCF Reporting Service. 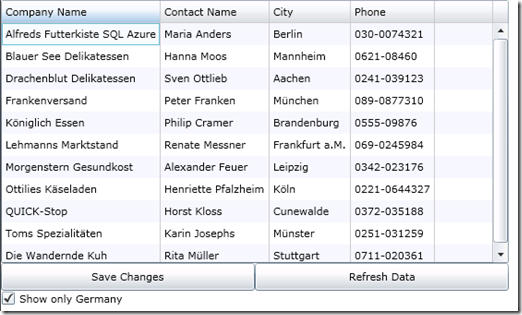 Now let’s add a ReportViewer to our Silverlight application. 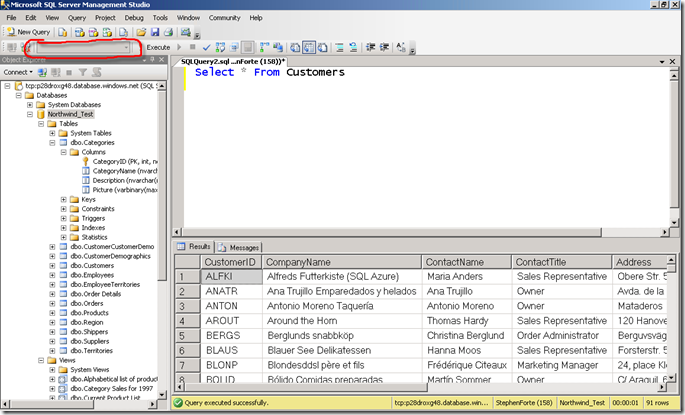 Lastly, add a reference to our report project: Telerik. Report.RptLib. That is it. Next step is to set your Slverlight test page as startup and F5. 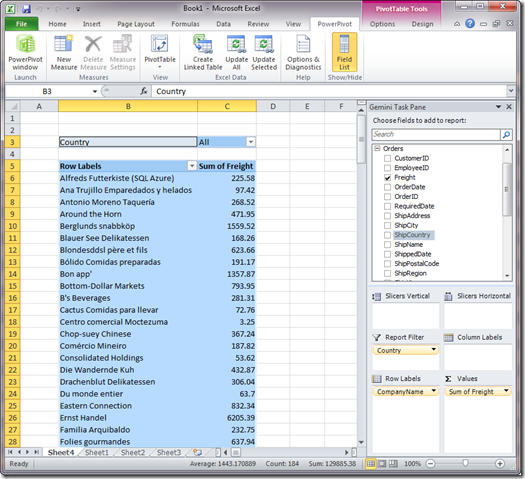 The ReportViewer supports native printing and export capabilities to PDF, XLS, Excel, etc. Pretty cool. 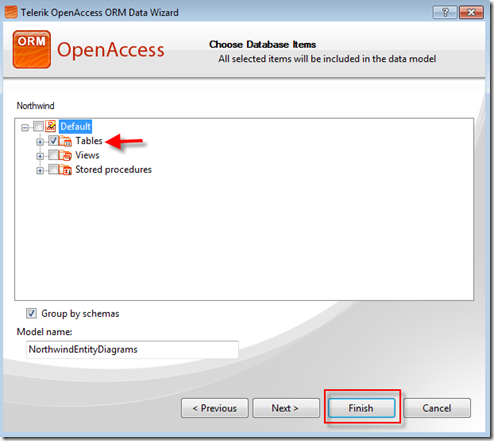 Over the past few weeks I have showed how to use Telerik OpenAccess with the WCF Wizard. I think that this wizard is a crucial piece of technology since I hate to write plumbing code myself, it takes me too long and I usually make mistakes. 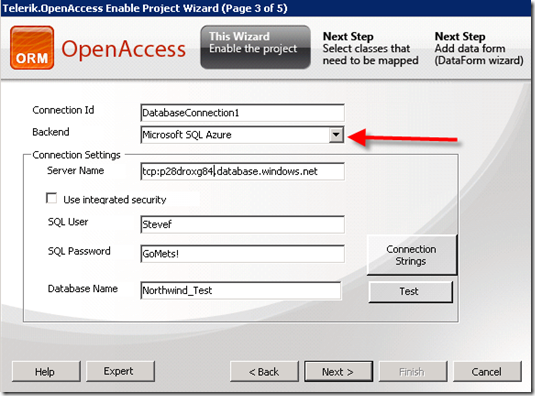 Now you have to create the WCF service via the wizard (if you forgot how to do that, watch this video). This will be done in a separate project to achieve a full separation of concerns. 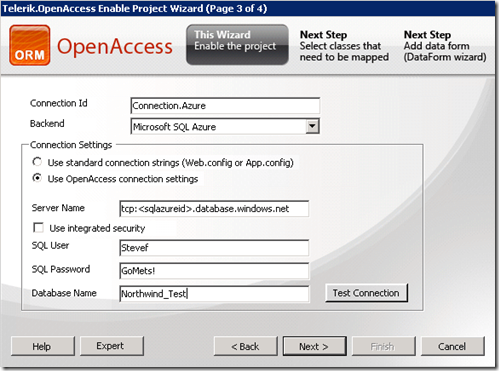 After you create the WCF service via the Wizard, you can go ahead and create a Silverlight client. Your solution set up should consist of a DAL project, a WCF service project, a Silverlight web project, and a Silverlight client project. Ok, XAML time. (In my head I am saying that to the tune of Hammer Time, but I digress….) 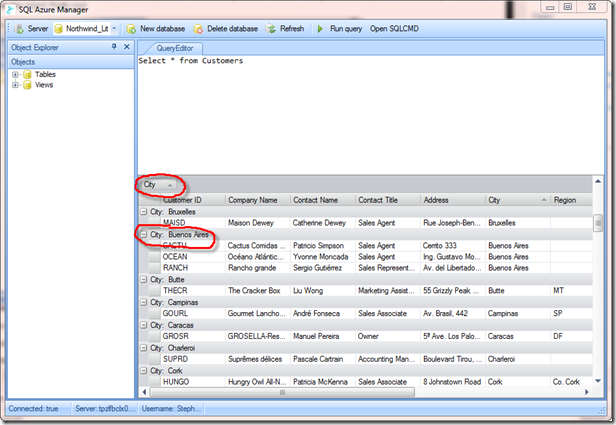 I will create a grid that will bind to the CompanyName, ContactName, City, and Phone fields of the Customer table. The grid will do most of the magic for us. I will also add a “Refresh” button as well as a “Save” button. 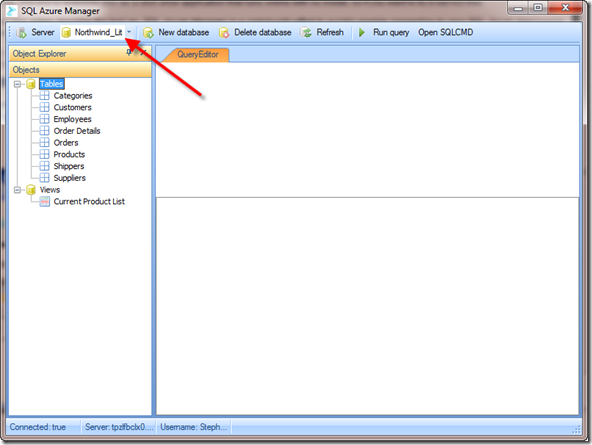 The Refresh button will have the same LoadData() method as in all of my previous blog posts. We’ll talk about Save in a minute. 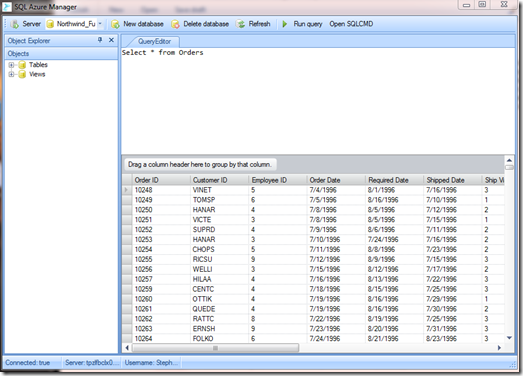 If we run our application, you can see that the grid works as advertised, fetching data from SQL Azure. Now we have to handle the button click. (When the user hits save.) 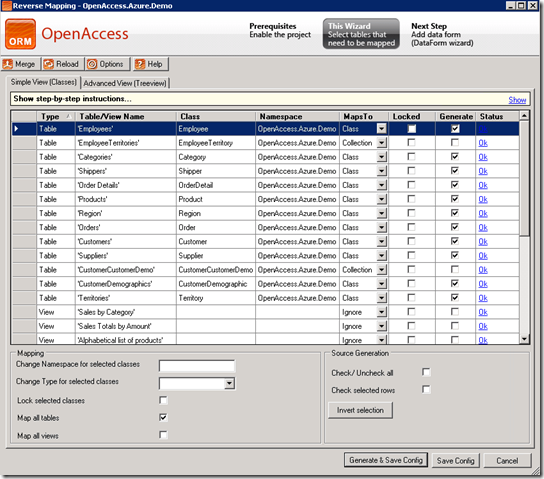 The user can hit save after editing the entire page (or after each row if they prefer, but find me a user who wants to do that.) 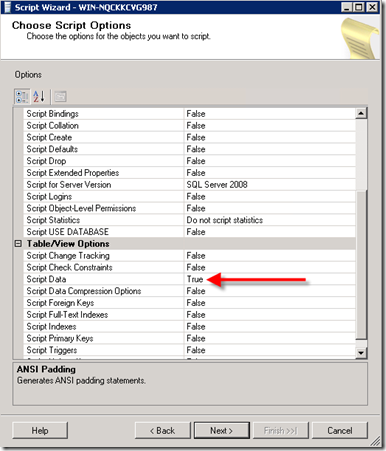 The code below calls the WCF service we created with the wizard asynchronously. In this case we call the service for each customer in our collection (loop is from lines 8-111, the call to the WCF service is online 10). 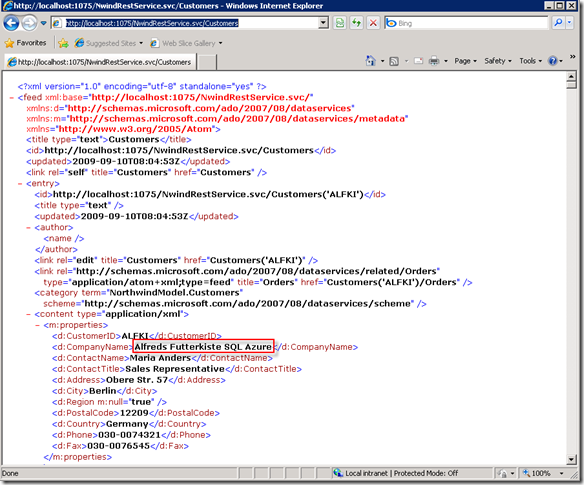 In the code directly above, we registered an event, UpdateCustomerCompleted, to fire when each Customer is done updating. 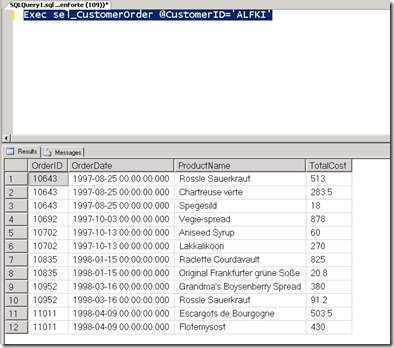 In theory we don’t need to do anything as far as the data is concerned, however, we have to clean up our collection of dirty Customers (line 8) as well as set an internal counter to 0 (line 7). This will give us a clean slate when we start editing again. 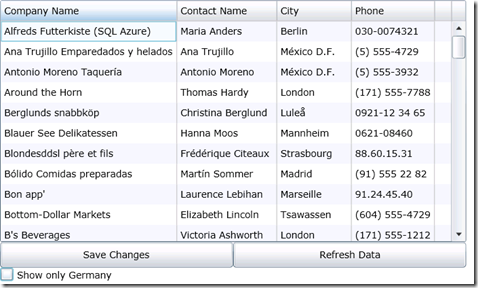 We will also use the opportunity to show a message box (line 10) to the user that the data was updated. 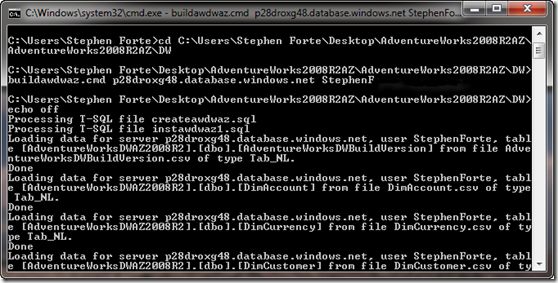 (Yea, yea I know I need error handling, etc. This is a demo!! :) ) We do this clean up only after all Customers have been edited and their async calls have been caught. We do this with our counter (line 3 and 5), comparing our count to the number of dirty records. Old school, but effective. 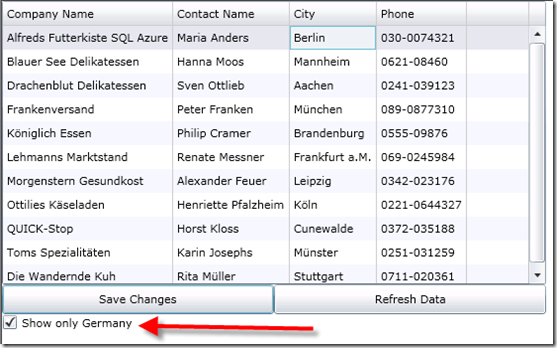 In the XAML page, I provide a checkbox that says “Show only Germany.” When this is checked we will filter our results with a LINQ statement. When it is unchecked, we will show all the records. 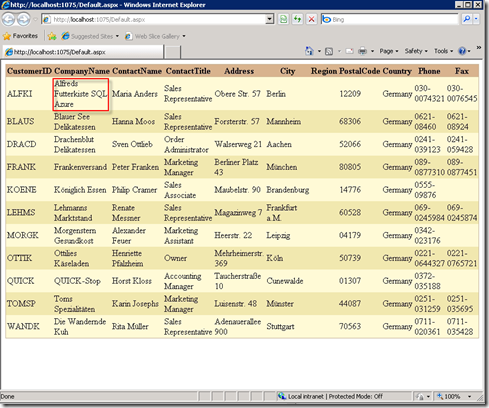 Our LoadData() method calls the WCF service and registered an event, ReadCustomersCompleted. 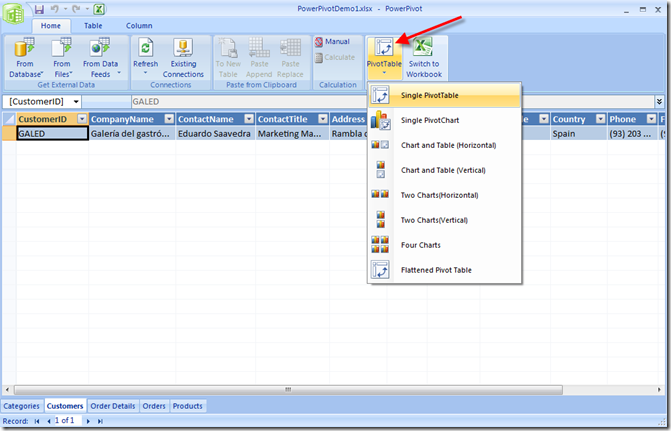 LoadData() is called on the page load, refresh button click, and check box click events. 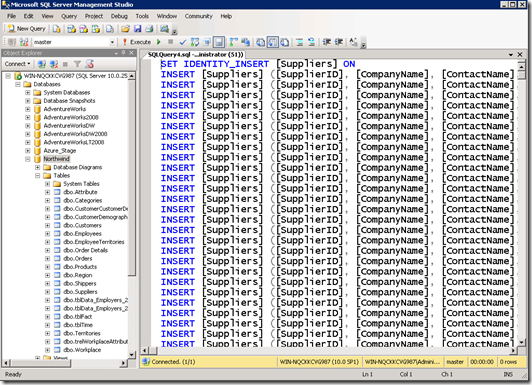 In past demos, this just took the result and assigned it to the ItemSource property of the grid. 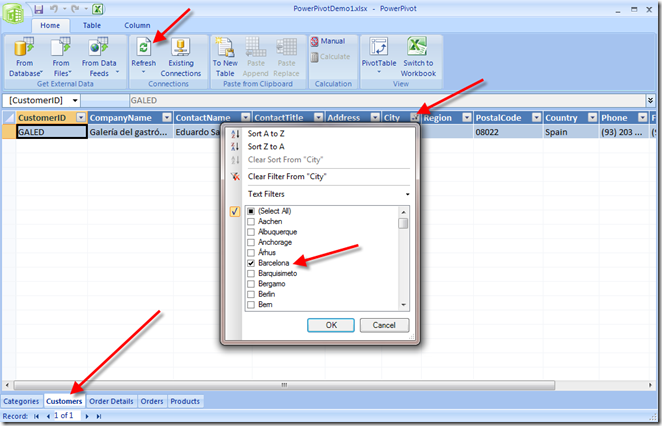 In this case we will check to see if our filter check box is checked (Line 6) and if so, we will perform a LINQ query (Lines 8-10) and assign the result to the gird (Line 12). If the check box is not checked, we perform no filter (line 16). That is it! 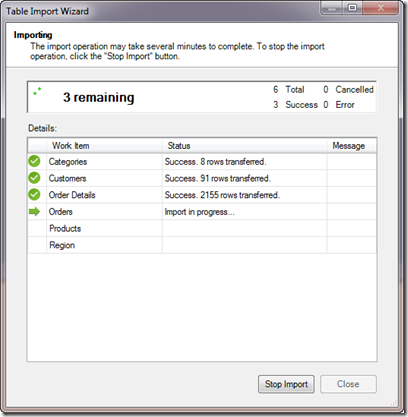 Of course you can create nice add and delete dialogs as well, it is just as easy. 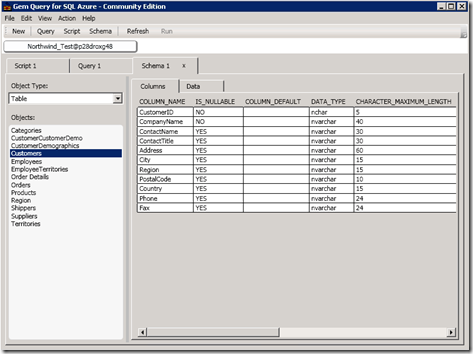 When SQL Data Services (now SQL Azure) released its first CTP it did not look anything like SQL Server: there were no tables, stored procedures, views, etc. 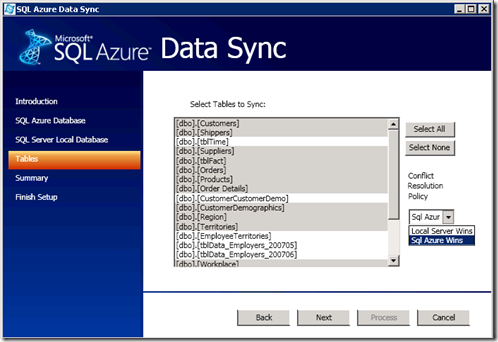 With the new CTP, SQL Azure embraces SQL Server in the sky and supports the relational model, including stored procedures. 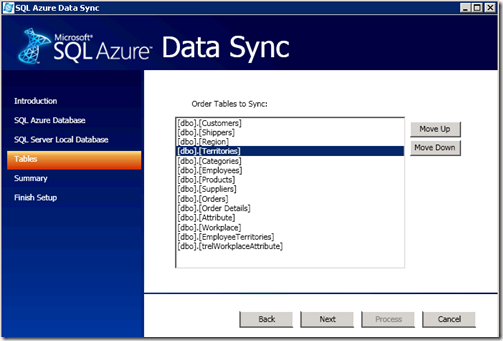 This is good since there are millions of lines of stored procedures out there in production today and migrating them to SQL Azure is pretty easy. And got the expected results. 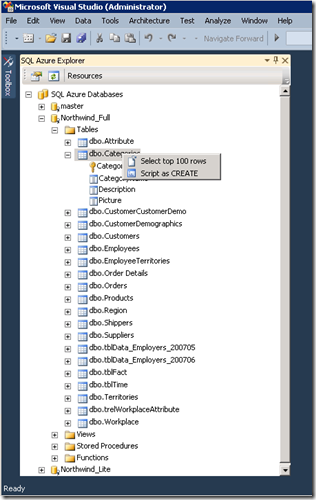 You can now use this stored procedure in all the applications that you connect to since SQL Azure supports standard ADO.NET connection strings. Pretty cool. 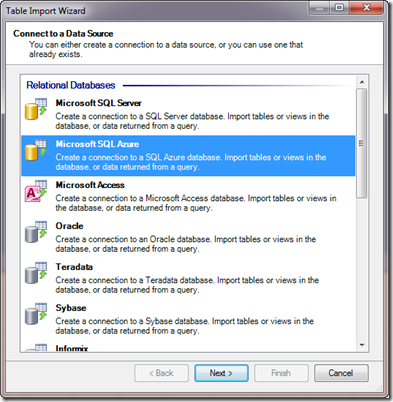 I like the idea of a database in the cloud. 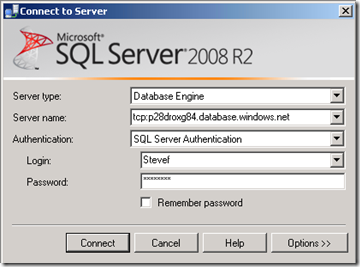 We have sort of been doing it for years, connecting to a SQL Server database over 1433. 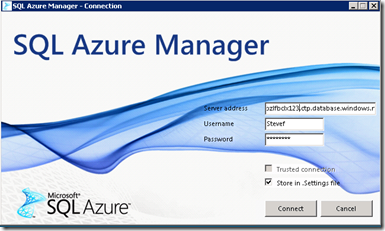 With SQL Azure, we take this one level further and let Azure worry about the hardware. So we don’t have to worry about scaling out with the bandwidth, RAIDs, etc. 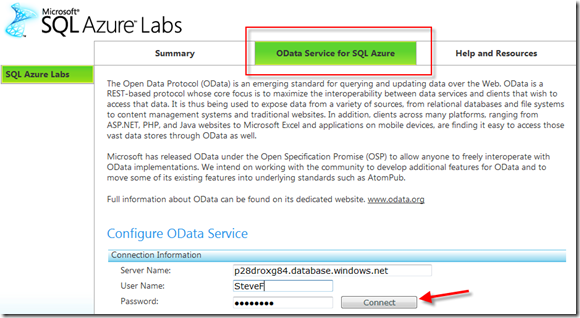 To get started we need a SQL Azure database. 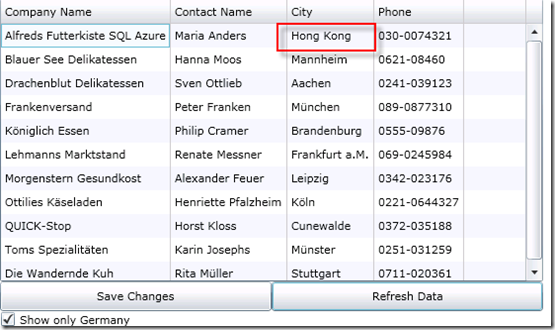 See my previous blog post about the CTP and getting data into your SQL Azure database. 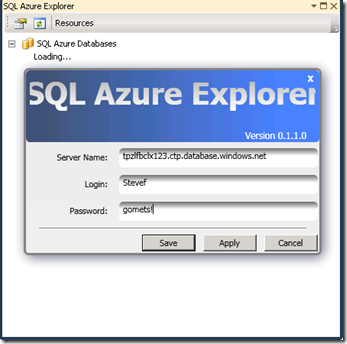 Once you have a SQL Azure database all set up let’s get to work. 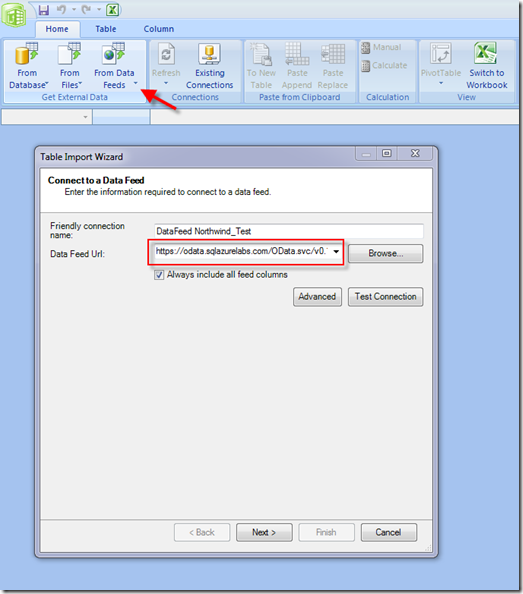 You have to manipulate the EF connection string and put in the SQL Azure server name of your CTP in the “Data Source” and put in the database name in the Initial Catalog, turn off integrated security and put in the UID/PWD from the CTP. 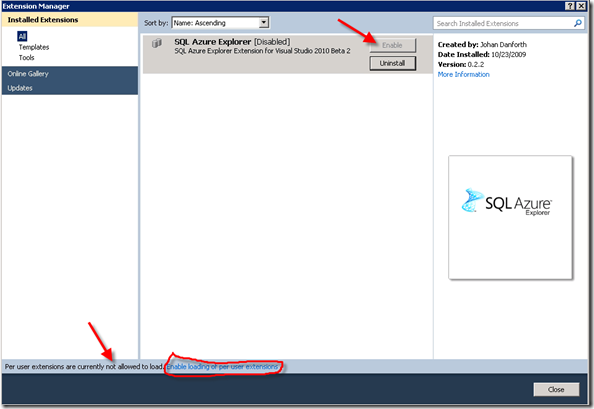 I set MARS set to false since SQL Azure does not support MARS. Now let’s create the Astoria Service. 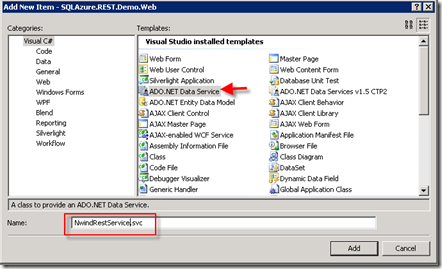 Add a new “ADO.NET Data Service” to your project. 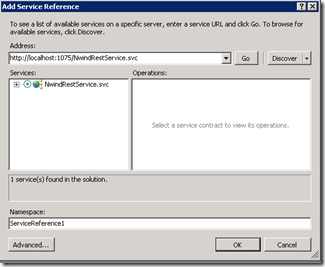 I named mine NwindRestService. Astoria can’t make it any easier for you to get the service up and running. 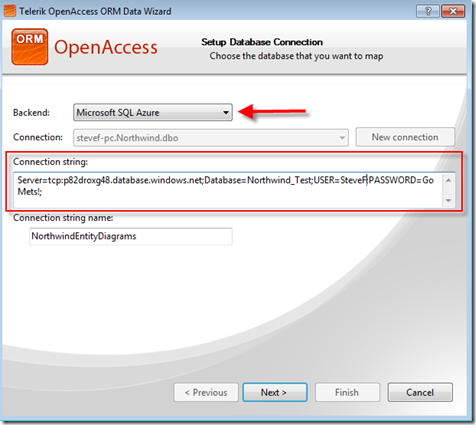 All you need to do is set up the name of your EDM in line 2, in our case it was NorthwindEntities and also set the access permissions on line 8. I just uncommented the generated line and put in an “*” so all of my entities will inherit the AllRead access rule. With that we are good to go! 7:          //to all entities. I can also do this one by one. 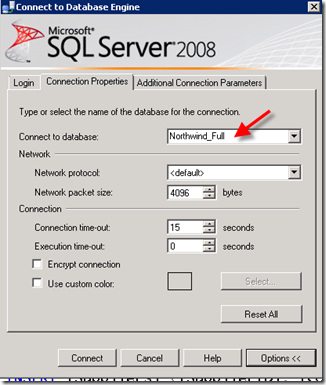 I also edited my first row in Northwind (ALFKI) to say “SQL Azure” at the end of the customer name so I know I am working with the SQL Azure and did not mess up my connection strings. 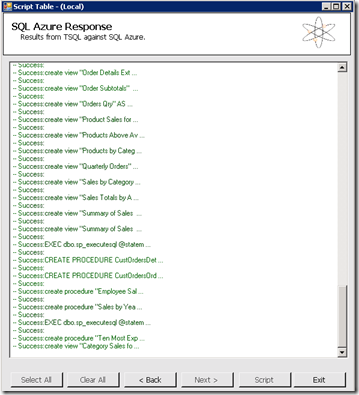 That is it, you now have a RESTful service that is hooked up to SQL Azure. The hard part is over. 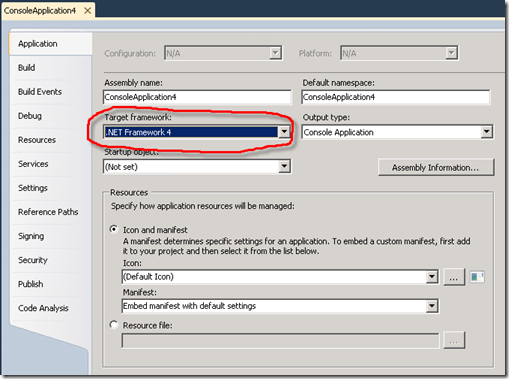 Now let’s build a simple ASP.NET client to consume the RESTful data. First you have to set a reference to your service. 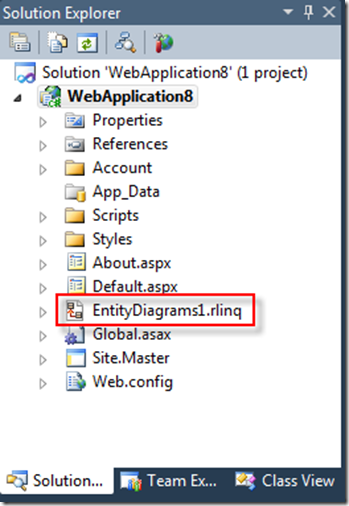 This will give you a proxy to write some LINQ (to Astoria) code against. 10:      where c.Country == "Germany"
That is all there is too it. Enjoy.